For many, these six principles are the foundation of the Pilates approach to exercise. Their application to the Pilates method of exercise is part of what makes it unique in the fitness world. Joseph Pilates originally called his work “contrology.” He considered this to be a body/mind/spirit approach to movement founded on the integrative effect of principles such as centering, concentration, control, precision, breath, and flow. Whether one is working out on a mat or using Pilates equipment, like the reformer or cadillac, these basic principles infuse each exercise with intention and fullness of expression. Mindfulness meditation programs have shown promise for the treatment of anxiety, one of the most common mental health disorders in the U.S. New research suggests people can begin to derive psychological and physiological benefits from the practice after a single introductory session. 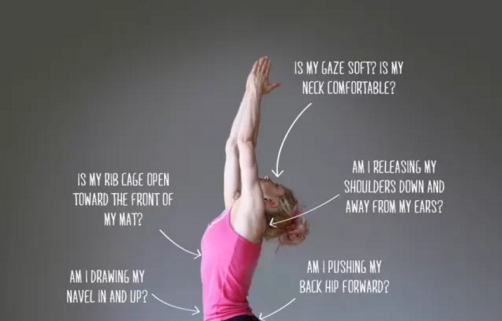 If you think of Pilates as exercise for your physical core — that prime stretch of real estate between your rib cage and your pelvis — you are not wrong. But there are reasons to think these popular workouts might do some good for your mental core, as well. For the uninitiated, Pilates is a fitness program intended to build strength and flexibility, using a set of 500 carefully controlled, precise movements first developed by Joseph Pilates nearly a century ago. The exercises can be performed on mats or specialized equipment, including the Reformer, a contraption that looks like a narrow bed equipped with springs, pulleys and a sliding base. Pilates first caught on with professional dancers but now is taught in gyms and studios for the masses. Being a couch potato. Not exercising. A sedentary or inactive lifestyle. You have probably heard of all of these phrases, and they mean the same thing: a lifestyle with a lot of sitting and lying down, with very little to no exercise. In the United States and around the world, people are spending more and more time doing sedentary activities. During our leisure time, we are often sitting: while using a computer or other device, watching TV, or playing video games. Many of our jobs have become more sedentary, with long days sitting at a desk. And the way most of us get around involves sitting – in cars, on buses, and on trains. But wait! Before you can go, you need to invest in a good bike. Here’s how. It is understandable that people with extreme stress or anxiety may find it difficult to meditate. Thus, I’m sharing this list of mindfulness meditation tips hoping to help beginners to kick-start their practice. Let’s conduct an experiment: Take a moment to think back over your day; which experiences stand out for you? For most of us, it’s the negative ones. Enjoyable, useful experiences—like smiling at a friend, finishing a task, or learning something new—typically happen many times a day, but they usually wash through the brain like water through a sieve, barely leaving a trace. Meanwhile, our stressful, often harmful experiences—like getting stuck in traffic and being late for a meeting, feeling brushed aside by a friend or misunderstood by a partner, or ruminating about worries or resentments—routinely produce lasting changes in neural structure or function. This is your brain’s negativity bias in action, which makes it like Velcro for bad experiences and Teflon for good ones. This built-in bias is no one’s fault. It’s the result of the 600-million-year evolution of the nervous system. I’m quick to regret the label of chronic pain. I believe in the power of words and thoughts, so the idea of labeling a consistent pain as “chronic” feels like a resignation of control and possibility. For about two and a half years now, I’ve experienced persistent little nudges and discomfort in various parts of my bodies—mostly symptoms of carpal tunnel syndrome, joint pain, and the general discomfort that comes along with a desk job. Yes, I visited doctors and specialists to no avail and eventually turned to alternative healing modalities—like acupuncture, exercise, hot and cold therapy, physical therapy—searching for answers in the form of relief, management, and prevention. And while these methods worked, only temporarily so. Plus, I never feel that these practices address the root of the pain circulating throughout my body, which is sharp and rarely dormant these days. Reach for the hand of a loved one in pain and not only will your breathing and heart rate synchronize with theirs, your brain wave patterns will couple up too, according to a study published this week in the Proceedings of the National Academy of Sciences (PNAS). The study, by researchers with the University of Colorado Boulder and University of Haifa, also found that the more empathy a comforting partner feels for a partner in pain, the more their brainwaves fall into sync. And the more those brain waves sync, the more the pain goes away. You might have heard people mention the benefits of TRE for the healing of trauma and for reducing stress. TRE stands for Trauma Release Exercise. The words ‘traumatic’ and ‘traumatized’ are used casually now in everyday speech, e.g. ‘There were no dark chocolate biscuits in the meeting room today, it was fairly traumatic’. They say you never forget how to ride a bike, so maybe it’s time to climb aboard a two- or three-wheeler and enjoy the health benefits of cycling. “It’s socially oriented, it’s fun, and it gets you outside and exercising,” says Dr. Clare Safran-Norton, a physical therapist at Harvard-affiliated Brigham and Women’s Hospital. There’s nothing wrong with being a little weird. Because we think of psychological disorders on a continuum, we may worry when our own ways of thinking and behaving don’t match up with our idealized notion of health. But some variability can be healthy and even adaptive, say researchers in a review published February 20th in Trends in Cognitive Sciences, even though it can also complicate attempts to identify standardized markers of pathology. “I would argue that there is no fixed normal,” says clinical psychologist and senior author Avram Holmes of Yale University. “There’s a level of variability in every one of our behaviors.” Healthy variation is the raw material that natural selection feeds on, but there are plenty of reasons why evolution might not arrive at one isolated perfect version of a trait or behavior. “Any behavior is neither solely negative or solely positive. There are potential benefits for both, depending on the context you’re placed in,” he says. Has someone ever sent you an angry email, and then you found yourself, weeks later, thinking about it while you’re wide awake at 2am? Emotions can be a major source of distraction, according to researchers Richard Davidson and Daniel Goleman, who have chronicled what we know thus far about the meditator’s mind in a new book, Altered Traits, Science Reveals How Meditation Changes Your Mind, Brain, and Body. In this whiteboard session for Harvard Business Review, Davidson and Goleman talk about one of the most important discoveries: repeated practice helps us untether from emotional cues that keep us mired in distraction — specifically, rumination. Deep breathing is an essential part of Pilates exercise. And not just a big inhale, but also when you make a conscious effort to exhale fully, getting rid of every bit of stale air and allowing fresh, invigorating air to rush in. Joseph Pilates was adamant about deep breathing. Consider this quote from his book Return to Life Through Contrology: “Lazy breathing converts the lungs, literally and figuratively speaking, into a cemetery for the deposition of diseased, dying and dead germs as well as supplying an ideal haven for the multiplication of other harmful germs.” Is that not scary? We’re all carrying a load, including tasks, challenges, worries, inner criticism, mistreatment from others, physical and emotional pain, loss and illness now or later, and everyday stresses and frustrations. Take a moment to get a sense of your own load. It’s very real, isn’t it? Recognizing it is just honesty and self-compassion, not exaggeration or self-pity. There’s a fundamental model in the health sciences that how you feel and function is based on just three factors: your load, the personal vulnerabilities it wears upon – such as health problems, a sensitive temperament, or a history of trauma – and the resources you have. As a law of nature, if your load or vulnerabilities increase – over a day, a year, or a lifetime – so must your resources. Otherwise, inevitably, you will get strained, depleted, and ground down. I’ve had times like this myself, and I’ve seen it in loved ones. https://www.becomebodywise.net/wp-content/uploads/2018/02/bodywise_physical_therapy_portland_oregon.jpg 251 735 bodywise https://www.becomebodywise.net/wp-content/uploads/2015/12/bodywise-web-logo.png bodywise2018-02-22 00:15:242018-02-22 00:15:24What Helps You Carry Your Load? People who have good emotional health are aware of their thoughts, feelings, and behaviors. They have learned healthy ways to cope with the stress and problems that are a normal part of life. They feel good about themselves and have healthy relationships. However, many things that happen in your life can disrupt your emotional health. These can lead to strong feelings of sadness, stress, or anxiety. Even good or wanted changes can be as stressful as unwanted changes. Want to be compassionate of others? Direct some of those feelings towards yourself first. Observing with unshaded eyes how we respond to ourselves, we lay the groundwork for building a relationship with ourselves—and others—steeped in trust and acceptance, as opposed to constant dodging or denial. Structured exercise training can significantly improve brain function in stroke survivors, according to research presented at the American Stroke Association’s International Stroke Conference 2017. Stroke is the fifth leading cause of death in the United States, and the leading cause of long-term disability. Studies estimate that up to 85 percent of people who suffer a stroke will have cognitive impairments, including deficits in executive function, attention and working memory. Because there are no drugs to improve cognitive function, physical activity – such as physical therapy, aerobic and strength training – has become a low-cost intervention to treat cognitive deficits in stroke survivors. Commuting by car doesn’t just try your patience. https://www.becomebodywise.net/wp-content/uploads/2018/02/physical_therapy_portland_oregon_45.jpg 251 735 bodywise https://www.becomebodywise.net/wp-content/uploads/2015/12/bodywise-web-logo.png bodywise2018-02-03 01:09:292018-02-03 01:09:29Winter Got You Down? Move Around! Exercise has racked up some serious points for aiding in the larger development of mind, body, and spirit functioning processes. Now, a new study states that exercise promotes and encourages intercommunication among different organs and cells throughout the body. https://www.becomebodywise.net/wp-content/uploads/2018/01/physical_therapist_pearl_district_pilates.jpg 250 735 bodywise https://www.becomebodywise.net/wp-content/uploads/2015/12/bodywise-web-logo.png bodywise2018-01-20 01:47:142018-01-20 01:47:14What is Brain Plasticity and Why is it So Important? When I was first learning to meditate the instruction was to simply pay attention to my breath, and when my mind wandered, to bring it back. Sounded simple enough, yet I’d sit on these silent retreats sweating through t-shirts in the middle of winter. I take naps every chance I got because it was really hard work. Actually it was exhausting. The instruction was simple enough but I was missing something really important. So why is it so hard to pay attention? Studies show that even when we’re really trying to pay attention to something—like maybe this talk—at some point, about half of us will drift off into a daydream or have this urge to check our Twitter feed. What’s going on here? It turns out that we’re fighting one of the most evolutionarily conserved learning processes currently known in science, one that’s conserved back to the most basic nervous systems known to man. There is strong evidence of that aerobic exercise, strength training and condition-specific therapeutic exercise affect positively on the functional capacity of patients with chronic diseases. This is revealed in an extensive systematic analysis of published research data by the Faculty of Sport and Health Sciences, University of Jyväskylä, Finland. The systematic review of meta-analyses evaluates the effects of exercise therapy on more than twenty of the most common chronic diseases such as osteoarthritis, rheumatoid arthritis, coronary artery disease, heart failure, type 2 diabetes, different types of cancers, and Alzheimer’s disease. Pilates is more than just a workout. Any person who’s been doing it for at least a couple of months knows that Pilates doesn’t only sculpt your body but it also clears your mind and gives you energy and inner serenity. But what is so special about Pilates? This interesting and growing relationship between Pilates and physical therapy is what we will look at more closely in this article. Harnessing the healing power of the mind doesn’t mean simply thinking the pain away. We can’t wish ourselves better, however much we might want that to be true. But by harnessing pathways such as expectation, distraction, and social support we can persuade our bodies to ease off on symptoms such as pain, depression, and fatigue, as well as influence physiological functions such as the gut and immune system. Many of us respond to shorter days and colder weather by spending more time at our desks, or curled up on the couch—but these habits can leave us feeling stagnant. That’s why it’s important during the winter to give your spine some extra care. This 3-minute practice offers 4 exercises to stretch and strengthen the spine. If you find yourself feeling tired with the imminent approach of winter, doing this quick practice throughout the day can refresh your energy and focus. Moving from your spine gets your blood flowing, warms you up, and creates a conscious connection to your breath. So you’re ready to start riding seriously for the first time? In this adaptation of a book destined to become a novice’s bible, the owner of a renowned bike clinic outlines exactly how to get started. Cara Bradley hosts a weekly podcast series called On The Verge, short blasts of advice and essential practices and strategies to shift from “crazy busy” to living with more clarity and vitality. Are you one of the millions that seek mindfulness practices to feel calmer and more at ease? Do you hope meditation will settle your thinking mind? In this episode Cara explains how breath training calms your nervous system and ultimately works to settle a busy mind. Cara explains that when your body feels sluggish, your mind feels sluggish. When your body feel tense, there’s a good chance your mind will feel tense too. On the other hand, a calm body often reveals a calm mind. In other words, the state of your body reflects the state of your mind. Enjoy this excerpt from the book Heal Your Heart. In it, Dr. Mike Miller reminds us of the power of laughter – not just to improve our mood, but our health and longevity too. The only problem? I had pain in my hip that was preventing me from lifting my left leg into a full extension. The pain became stiffness that gave me a limp when I walked, and the stiffness turned into loss of feeling in that leg. That was just the first in a series of injuries that forced me to take time off from dancing. Then I found Pilates. Article by Elaine Smookler | Found on Mindful.org Change comes whether we want it or not. If we can stay open and curious to an ever-new landscape of life’s possibilities, change can actually be the key to resilience. By learning to explore what presents itself, we ride the waves of change rather than losing ourselves in the undertow. While there’s no question that exercise plays a part in the healthy weight puzzle, the recent rhetoric around the benefits of exercise is less about weight loss and much more about the astounding role it plays in mental health. A recent Fidelity survey found that after paying off debt, the No. 1 thing that increases happiness is regular exercise, ranking above getting a promotion and getting married. Additionally, a recent studyout of Michigan State University and the University of Michigan asked 295 mental health patients if they wanted to start exercising more, and if they thought exercise improved their mental health. In a first of its kind international collaboration, researchers from Australia’s National Institute of Complementary Medicine at Western Sydney University and the Division of Psychology and Mental Health at the University of Manchester in the UK examined the effects of aerobic exercise on a region of the brain called the hippocampus, which is critical for memory and other brain functions. The human brain is a mysterious supercomputer. Billions of neurons buzz within an intricate network that controls our every thought, feeling, and movement. And we’ve only just begun to understand how it all works. To conquer the puzzle of the human mind, researchers at Northeastern’s Center for Complex Network Research start with simpler models. The brain of a nematode worm, for example, has about 300 neurons and 2,200 synapses. There’s a lot to love about running. It’s cheap to get started, great for torching calories, and works well with nearly any cross-training regimen you may have. But in the ongoing bar bet of which sport is best, we believe cycling is still the overall winner. (And, we think we can prove it.) Here’s why. Worried about whether you’ll make the deadline, or an impending apocalypse? Gabrielle Oettingen, Ph.D., a professor of psychology at New York University and well-respected author of Rethinking Positive Thinking, has discovered a new truth about anxiety. Her latest research published in Frontiers in Psychology supports the belief that mental contrasting, a visualization technique, can help reduce our fear of future events. From achievement-related worries to romantic ones, mental contrasting helped study subjects feel more at ease. Real talk: These days, almost all of us lead crazy-busy lives. Even with some great self-care practices in place, stress can sometimes get the best of us, compromising our immune systems and making us feel run-down. We all know the importance of keeping our immune systems in tiptop shape—but with so many other things to juggle between job responsibilities, family time, and trying to squeeze in exercise, figuring out how to boost your immunity can feel like a job in itself. Most of us don’t have five minutes to sit down and relax, let alone 30 minutes or more for a meditation session. But it is essential for our wellbeing to take a few minutes each day to cultivate mental spaciousness and achieve a positive mind-body balance. So if you are a busy bee like me, you can use these simple mindfulness exercises to empty your mind and find some much-needed calm amidst the madness of your hectic day. We all know injuries can happen in the gym—but how many times have you heard someone say they injured their back carrying heavy luggage or lifting kids? Or tweaked their knee going on a hike or walking the dog? That’s why functional strength training is such a hot topic these days. Dr Norman Doidge has travelled the world meeting people who have healed themselves using neuroplasticity—the brain’s ability to change in response to stimuli and experience. He told Lynne Malcolm how the concept may change the way we treat everything from ADD to Parkinson’s. Scientists now know that the brain has an amazing ability to change and heal itself in response to mental experience. This phenomenon, known as neuroplasticity, is considered to be one of the most important developments in modern science for our understanding of the brain. Some of the health benefits of cycling include muscle toning, improved cardiovascular health, and better blood circulation. These health benefits are the reason behind the consistent popularity of cycling for many years. It is one of the simplest forms of working out as a form of moderate physical activity that is required by the human body. It is not only an exercise; it is also used as a means of transport in many countries. Using cycling helps in incorporating physical activity into your daily life. From children to the elderly, every person can easily choose cycling for a healthier life! Pilates is one of the fastest growing workout routines in the United States and around the world. This popularity is due to the many benefits of Pilates like enhanced strength, flexibility, and agility due to regular practice. More than just a regular exercise, Pilates is recommended by physicians for rehabilitation treatment after an injury. If you are experiencing a horrible back ache, you can try Pilates, since it has proven to be beneficial for moderate to severe spinal conditions. We know meditation is a great way to improve our quality of life—it makes us happier, more productive, and improves our relationships. But practicing mindfulness is just as important for getting us through the hard times. A year ago, I was faced with the greatest challenge of my life when I was diagnosed with rheumatoid arthritis at 26 years old. What started with a little pain in my feet within a couple of months had become chronic pain in my entire body. I quickly went from being a personal trainer, aerialist, and movement junkie to not being able to dress myself, cut my own food, or even tie my shoelaces. Meditation teacher Jack Kornfield explains the why and how of developing wise attention, or open awareness. What is Ergonomics and Could it Make You a Happier Worker? Most people haven’t heard of the science of ergonomics, and many who have think it only applies to office-based employees. The word “ergonomics” comes from the Greek words érgo, which means work, and nómoi, which means laws. You would think it only applies to work, but it has a much wider application as one doesn’t only “work” at work. https://www.becomebodywise.net/wp-content/uploads/2017/09/bodywise_physical_therapy_portland_77.jpg 250 735 bodywise https://www.becomebodywise.net/wp-content/uploads/2015/12/bodywise-web-logo.png bodywise2017-09-12 23:29:292017-09-12 23:29:29What is Ergonomics and Could it Make You a Happier Worker? Barry Boyce convenes a distinguished panel — made of Jon Kabat-Zinn, Susan Bauer-Wu, and Daniel Siegel — to discuss the health benefits of mindfulness — what it does, how to do it, why it works. A new Neuron study reports practice can alter how the brain utilizes sensory information and, depending on how the training is performed, the middle temporal area can be critical for visual perception. In a busy life, each day gives you dozens of opportunities to leave the Red zone and move toward Green. Each time you do this, you gradually strengthen the neural substrates of Green, one synapse at a time. It behooves us center in Green as much as we can – using Green approaches for threats and opportunities and leave Red as soon as possible. This is the foundation of psychological healing, long-term health, everyday well-being, personal growth, spiritual practice, and a peaceful and widely prosperous world. With mindfulness, not only can you learn to listen to your body, you can—with practice—tell your body how you want it to feel. You can regain control, something everyone with pain wants: to control your life again and put pain in the back seat. Mindfulness is one of the top techniques required to manage pain. Most importantly, by being mindful of our bodies and emotions, we can manage the fear of being out of control, put pain in its place, and be in command of our own lives. Most people all over North America are familiar with Pilates – it is still is one of the fastest growing exercises in the world. And millions more have experienced the physical fitness benefits of added strength, length, and agility that it provides. But few know that Pilates is rapidly rising in another area – rehabilitation from injury. Mike Hanson explains that all of the world’s wisdom traditions point out this truth: that the conventional strategy for happiness is both doomed and actually makes us unhappier. Here’s how to recognize the lies built into the conventional strategy for happiness to wake up from their spells. As you see through these lies, recognize the truth of fullness. Tension & Trauma Release Exercises (or TRE®) is a simple yet innovative series of exercises that assist the body in releasing deep muscular patterns of stress, tension and trauma. Watch Dr. Berceli’s introduction video. From the Train Your Brain course, this in-depth article presents detailed instructions into developing the skills of mindful presence, concentration, and open-spaced mindfulness. This is a fascinating video that simply explains the way our brains respond to stress, and trauma, many of which we all experience everyday, and the impact on our physical bodies, including pain, anxiety, sleep disturbance, digestive issues, and depression. Check out the video below!